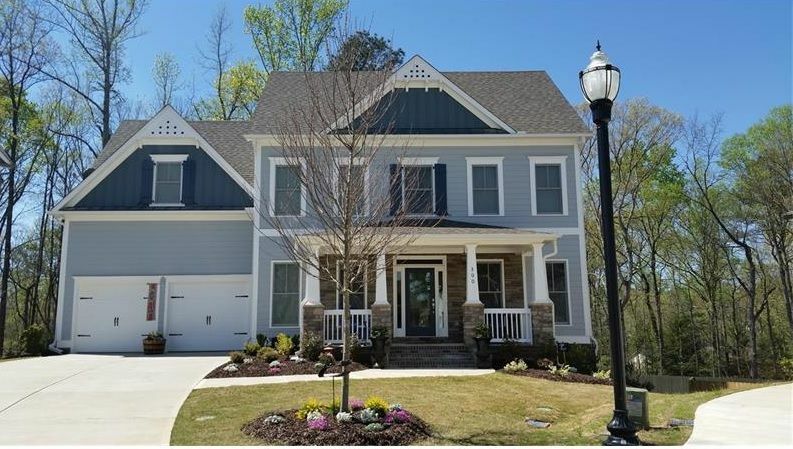 Tackett Farms by O'Dwyer Homes Now Selling in "Sought After Smyrna"
SMYRNA, Ga. - April 26, 2016 - PRLog -- O'Dwyer Homes has just announced that their newest community, Tackett Farms is NOW SELLING in the sought after Smyrna area. The location is ideal with close proximity to Smyrna Market Village, Silver Comet Trail and the Historic Covered Bridge district. In this prime area, you are a few miles to the new Suntrust Park and I-285 and I-75. Tackett Farms has easy access to downtown Atlanta for work, play, events and entertaiment. Vinings Jubilee is just a few miles down the road as is Cumberland Mall plus many other shopping and dining opportunities. Tackett Farms is alive with open space and offers a community pavilion with fireplace or a relaxing passive park with playground. Wicklow II - 5 Bedroom/4 Bath - Craftsman Exterior With Board & Batten & Stone. Half Porch For Visiting W/Your New Neighbors. High-End Amenities Incl. Extensive Upgraded Trim, Granite, Ss Appliances, Full Tile Baths, Tile Laundry. Oversized Secondary Bedrms, All W/Walk-In Closets. Dreamy Master W/Sitting & Huge Bath & Closet. Full Basement. 100% Energy Star Certified. When you choose an O'Dwyer Home, you will find quality, great designs and exquisite detailing. O'Dwyer Homes is 100% Energy Star Certified. 100% Energy Star Certified new homes are designed and built to standards well above most other homes on the market today, delivering energy efficient savings up to 30 percent when compared to typical new homes. A new home that has earned the 100% ENERGY STAR Certified label has undergone a process of inspections, testing and verification by a third party to meet strict requirements set by the U.S. Environmental Protection Agency (EPA) , delivering better quality, better comfort, and better durability.